Recently wrapped up a great project, redesigning Eagle Eye Crane. Rob Fleeger, a highly experienced jib operator, has been in the film and video production biz fora good while. He’s got a unique expertise that has saved many a day’s production. I used to be in that biz myself, so I appreciate what a competitive and high-stress field it is. Anybody who can hang in there and still be cranking them out deserves some serious kudos. I really enjoyed redesigning this site. There were lots of great images and text to work with. We did a child theme off of Twenty Seventeen. It’s hard not to use its lightweight parallax effect that’s so easy to work with in this theme, and I think it worked out to good effect. The eagle that’s perching on the jib on the first screen kind of landed there on his own. A right brain kind of thing and I think it makes for that “picture worth a thousand words” that needs to be the first thing to hit everybody right between the eyes when they first hit the site. I’ve been doing Photoshop for so long as part of my design work that I forget to think of it as artwork. But in the last year I went to do some real ‘painting’ and realized there’s really no difference between the two. Just different tools. It’s artwork and I was not a bit rusty, even though it had been years since I’d picked up a brush. That’s how I make my living, writing and doing art, with some virtual mechanics along the way. Love it. I spent an amazing day in Raleigh this week at an SEO Conference put together by the good people at the Raleigh SEO meetup group. It was held in downtown Raleigh at the Natural Science Museum. That in itself is a magical place. I was instantly transported into dreams of spending a day there with my granddaughter. I can’t wait. But the conference, with all the intense sessions, had me as stimulated as a five year old at a children’s museum. SEO changes so rapidly that it can be daunting trying to keep up. So, instead of stimulated, you end up over-stimulated and discouraged. But there was none of that there. I was juiced, all day long. It was just the right density, sessions were no more than forty in a room, with plenty of time for discussion. The best tip of the day I got in the ladies room, from one of the organizers (obviously a lady). She tipped me off on the password of the day — Schema. I went home and started researching and it looks like phone. Just a little, simple syntax to lace into your content that will give Google easy access to what you’re really about. Were all of life so easy to negotiate. I’ve signed up with Thumbtack, a freelancing service, and am enjoying it, waiting to land my first client via them. I shall keep everyone posted. As part of my effort to be a useful consultant to my clients who want to manage their sites as much as possible, I will be publishing articles here on how to go about that process. First, I’m offering this tutorial on how to use Firebug, an amazing editing tool from Firefox, to manage the formatting of your site. 1. Download and install PSPad at http://www.pspad.com/en/ I’m very pleased with it. It can connect via an ftp client directly to your files online and enable you to edit them with the least amount of clicks I’ve found. 2. Go to the download page linked on the left, there’s another download button at the bottom that’s for a pdf creator, avoid that. This is free stuff, so it tends to have other junk thrown in, just be on your toes to avoid downloading something unnecessary. You can just download the zip, install that to whatever folder you want and click the .exe file. It doesn’t install, per se, on your machine, it just loads itself every time. I created a shortcut of the PSPad.exe (Right click > create shortcut) then I dragged the shortcut onto my desktop, then right clicked to pin to taskbar. 3. Open PSPad. Click the ‘FTP’ icon. Click the icon that looks like a plug. Click “New Connection” Enter in the ftp info for your site. Navigate to: wp-content/themes/[your theme name]/style.css to open. 4. Open Firefox. If you don’t have Firebug installed, do so now. You’ll be guided on how to install. Once installed, right click anywhere on your page (preferably where you want to edit). Click on “Inspect element with Firebug”. A grid will open up on the bottom of your page. The HTML code for your site will be on the left, the CSS is on the right. Wherever you were on the page, that will be highlighted on the left, and on the right, is all the CSS code that’s governing that part of the page. So, let’s say I just highlighted the header and I want to change the color. I could go over to the right and click on the hex #s for the h1 color and make it what I want. It will then be displayed, temporarily, for you alone, on your website. Once you get it the way you like. Copy and paste the CSS code. Take note of the line number. Take it over to you PSPad, where you have your stylesheet open, find the line number where that code is, and plop it into the code. It’s best to just copy the stuff that’s changing, leaving the rest intact. That’s it. You’ve learned how to start altering your site to look the way you want it to, using Firebug. This is much better than opening the WordPress admin editor, if for no other reason than that it will give you no line numbers. You’ll waste a lot of time just finding the code you need to change permanently. There are other helpful features to PSPad that will make it a much easier tool to work with. class tag (standard class for a paragraph) with an ID I’ve made up of say, id=”home-page-first” I can style the first paragraph on the first page of my site to look differently than any other. I had struggled for awhile trying to understand all this, none of my searching online, or the books I’d read, including Grand Master, Eric Meyer’s book, seemed to have the answer. It wasn’t until FINALLY, I was doing a little coding via my Firebug that it became obvious. This is why I so strongly recommend using Firebug. It will greatly accelerate your understanding of CSS. I just finished up a little project with Anita Carroll’s site, http://hearingsolutionstriangle.com, of adding a testimonial section to the site. It is amazing what a difference they can make in giving a business credibility, and making it plain what the business or service or practice is doing for people. So . . . as part of my New Year’s resolutions for my own site, I’m asking you all for any testimonials you might care to give concerning the services I’ve done for you, or if what’s really on your mind are the things you’re wishing I would do for you, LET ME KNOW!! And I urge everybody to look at asking their patients/clients/customers for testimonials to enhance their sites. 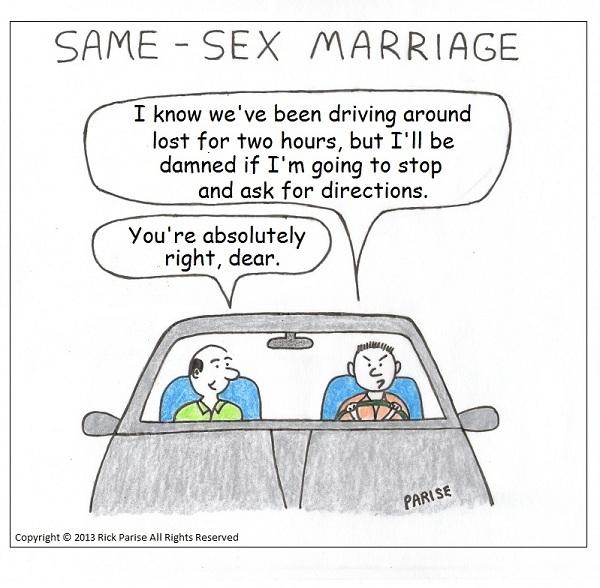 We had a lot of fun putting together A Bit Sketch, a cartoon site by Rick Parise. I love the droll humor, and it was great fun making up site graphics from Rick’s drawings. I especially love the background. Wish I could get some jammies like that! 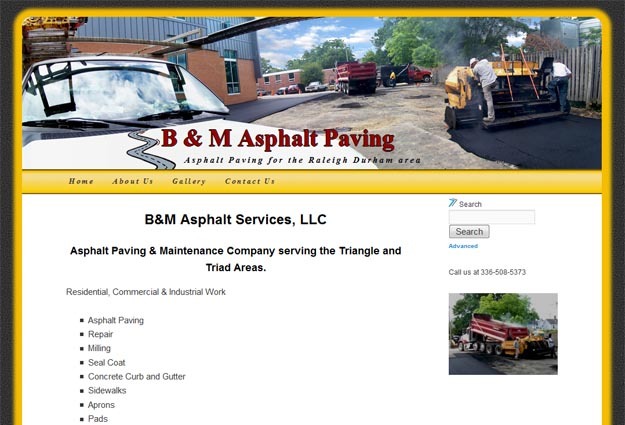 B&M Asphalt Services, a paving company serving the Raleigh, Durham Triangle area has just launched its first website at http://bmasphaltservicesllc.com/. The site features an original custom banner and slideshows of recent projects.